U.S. Secretary of Agriculture Sonny Perdue also stopped by the SERFVC trade show. 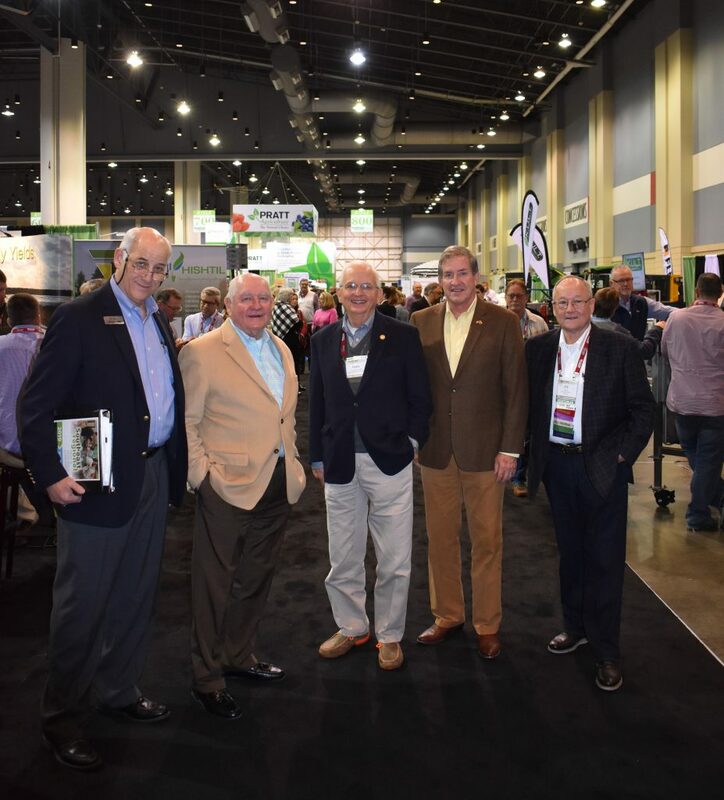 From left to right are Charles Hall, Sonny Perdue, Gary Black, David Perdue and Bill Brim. 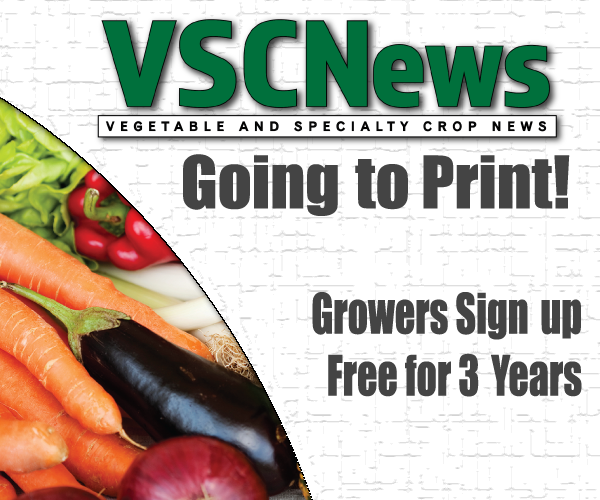 Every year, the southeastern fruit and vegetable industry starts a new year together at the Southeast Regional Fruit and Vegetable Conference (SERFVC), and 2019 was no different. Thousands of growers, packers, shippers, industry leaders and educators gathered together in Savannah, Georgia, on Jan. 10–13 at one of the industry’s biggest regional events. Charles Hall, executive director of the Georgia Fruit and Vegetable Growers Association, says this annual event is great for the industry to mingle and learn about up-and-coming products, research and technology to improve their production practices. One of the highlights of the SERFVC is the trade show. About 280 exhibitors displayed a variety of products, equipment and technologies for attendees to see. The trade show “allows for vendors to tell growers what they’re offering this year and help them make decisions as to whether it will help their farm operation,” Hall says. Black adds that he is always proud to hold this conference in Savannah every year. 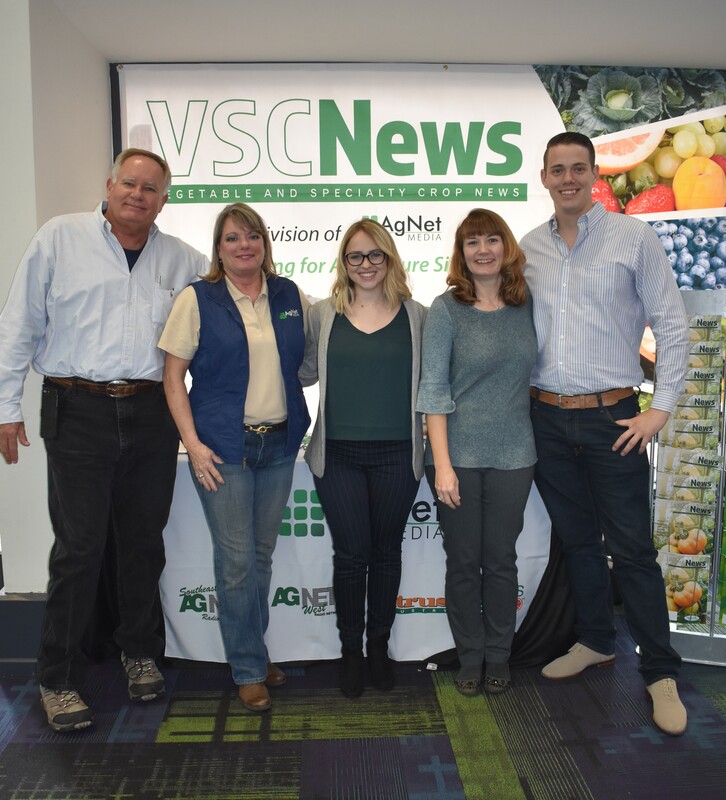 The VSCNews team includes, from left to right, Ron Linkous, Katie Ard, Abbey Taylor, Tacy Callies and Josh McGill. Another aspect of the SERFVC is the commodity conferences. Seminars cover a plethora of different crop sectors and topics, including vegetables, peaches, Vidalia onions, strawberries, blueberries, caneberries, watermelon, food safety, business operations and more. “Those educational sessions are to help growers learn more about different production practices and how they can improve growing fruits and vegetables,” Hall says. Overall, the 2019 SERFVC saw success on the trade show floor and in the commodity conferences. According to Hall, close to 3,500 attendees came through the doors. “They came together, networked and learned. It’s a good opportunity for people to visit neighbors and visit friends they haven’t seen in a year and talk about what’s going to be happening in the industry for the next 12 months,” Hall says. The 2020 SERFVC will take place on Jan. 9–12 at the Savannah International Trade & Convention Center. For more information about the conference, visit SERegionalConference.org. The VSCNews team returned to the SERFVC again this year and attended many of the educational sessions. Stay tuned to VSCNews.com for additional reports from the conference.